I have a few more videos planned in the coming weeks using this die set as well as others. 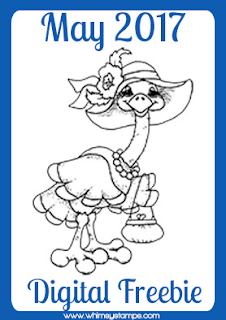 I just love the little animals that Whimsy Stamps do. I’ve coloured up Kitten Flowers from the new release – too stinkin’ cute! 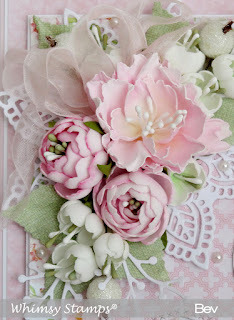 The flowers are all made from Foamiran using my Peony flower dies that I designed. I love that I can get so many different looking flowers from just the one die set. A closer look at the flowers, I used all three sizes in the die set as well as the leaves (which are cut from pearlescent green card). The flowers started life out as white foamiran which I coloured with a pigment and chalk inks. You can see the depth of the flowers better in the picture below. Last one, promise! I have a flower making (using my Peony dies and foamiran) video to upload to my You Tube Channel this weekend, I’ll pop a post on here with the link when it’s live. Congratulations ladies, please email me with your addresses so I can post your prizes off to you. I’m back with two cards featuring stamps from the Whimsy Stamps May release. I don’t think I’ve seen stamps specifically aimed at sympathy cards for the loss of a pet, these are very different from the run of the mill. I kept the cards simple, although I did manage to sneak flowers on the first one! I used the Rainbow Bridge stamp set for this card. The focal point was really easy to create, I stamped the bridge onto watercolour paper with Weathered Wood distress ink then lightly spread the colour with a damp paintbrush to give a watercolour effect. I added some grass detail using a distress ink marker. My second card is a total and unashamed case of a few cards and ideas I saw on Pinterest. I’ve used the Fur Ever In Our Hearts stamp set for this one. I glittered the layers of the wings with Distress Glitter. The bone tag is a template I got off the internet, I painted that and the heart with silver paint and once try stamped on them with Stazon ink. Pop back tomorrow for another card featuring the Peony Die Set that I designed. I’ll be doing a give away for that die set tomorrow as well. The Whimsy Stamps May 2017 release party has started over on the Whimsy Stamps and Inspirations Facebook group. Pop across to join in with games, fun, and a chance to win Whimsy prizes too. We are releasing new red rubber images, clear stamp sets and dies. Everything is available here, so do pop across to see all of the new stamping goodness. I have two die sets to give away this week, the first one is a doggy themed one so scroll down to the end of the post to see the set. To enter (open to all), just leave a comment and I will draw a winner on Friday. My card today is male themed – I shy away from making cards for blokes, I need my flowers lol. But I had such fun with this one, I love a challenge! I think for me, the secret to blokey cards seeing as I can’t overload on the flowers is to use layers to add interest, which I did with this card. I started off by stamping the stitched border from the In Stitches stamp set around the bottom layer of paper, then added the wire effect stamp from the Lovely Lavender stamp set. I then layered up a banner with a strip of measuring tape ribbon wrapped around. I hit up the stitching stamp again on this layer. I thn stamped the sentiment from the new For the Men stamp set, and finished off with some stars die cut from the Pierced Stars die set. A few screw brads and a little fob watch and job done. As I said, just leave a comment to be in the draw. Back tomorrow with more new release cards. I decided to go with a bit of a mixed media look on this week’s card. Stamping and stencilling really made this gorgeous paper by 13@rts pop. I stamped the grungy circles from the Whimsy Stamps Vintage Backgrounds set then stamped around the edges with the straight stitch stamp from the In Stitches set. The sentiment is die cut from the Word Die Set – Smiles, Happy and Celebrate using a gun metal mirri card. I made the Foamiran flowers and added touches of Distress Glitter to the edges. 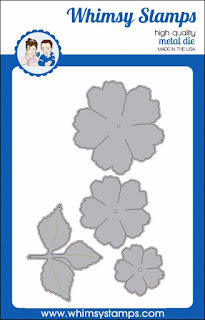 I designed this die set which comprises of 3 layers of the peony flower and the leaf spray that I’ve used on this card, except for the small white flowers that are from a different die set. The Peony die set is being released next week. I’ve had quite the play with it and managed to make quite a few different flowers from just the one set, so watch this space for lots more Foamiran flowers in the coming week, as well as a giveaway of this set to one of my visitors next week. The mask that I used on this card is also by 13@rts. Love the grid pattern. The butterfly is from a sheet that I got from the Range. IIRC is’t by Anitas. The doily die is one I picked up from eBay. Please scroll down to the next post for the candy winners details. I really do love how easy the foam is to work with. I started out with white foam and coloured the die cut flowers with chalk inks (Versacolor). 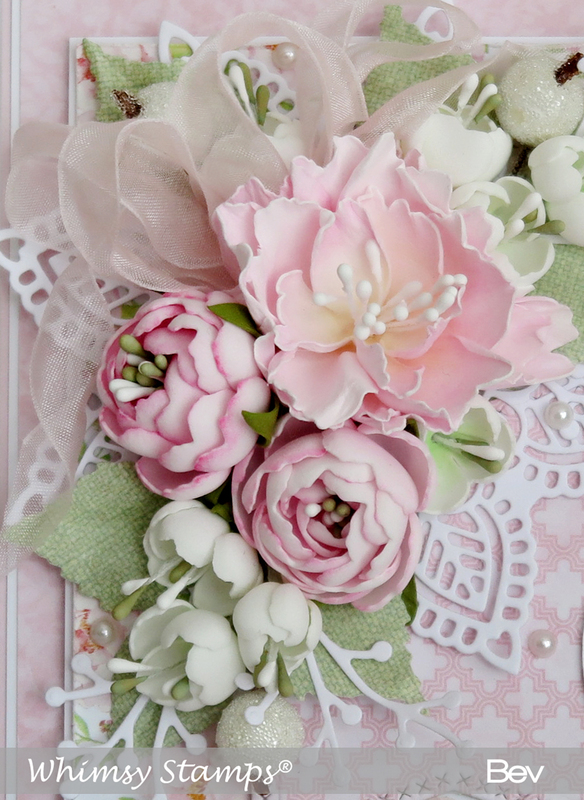 All the flowers on this card are handmade, not a bought flower in sight. I also heat distressed the organza ribbon that’s peeking out from behind the flowers. LOVE this effect so hard! The delicious papers are Studio75 Alice’s Dreams from Scrap & Craft. The bottle is from a pack of ten that I picked up for £1 from The Range, I tipped out the sparkly gems and replaced with some pearl beads. The frame is also from the £1 shelf at The Range. I machine stitched the papers for a change. Congratulations ladies, please email me with your addresses. Whimsy Stamps have gone May Mad, with the following fab offers!! As part of their Attitude of Gratitude campaign, this month Whimsy Stamps are offering this sassy ostrich digital stamp "Oswalda Goes Shopping," illustrated by Crissy Armstrong. She is FREE to all Whimsy customers and fans. You can find her on their Digital Freebies page along with a few others. Join them May 5th through May 7th for another Attitude of Gratitude gift for you! The first 40 retail orders totaling $50 or more (excludes digital items, tax and shipping), will receive this adorable Hoppy Days stamp set FREE! This cute little frog was the very first Whimsy Stamps rubber stamp ever released. Whimsy Stamps have brought him out of retirement just for this special promotion. This draw is closed, please scroll up to the next post to see who the winners are. As promised, here’s the stamping give away, sorry it’s so late – the weekend ran away with me. As always, the give away is open to all, just leave a comment and I will draw 3 winners on Friday.